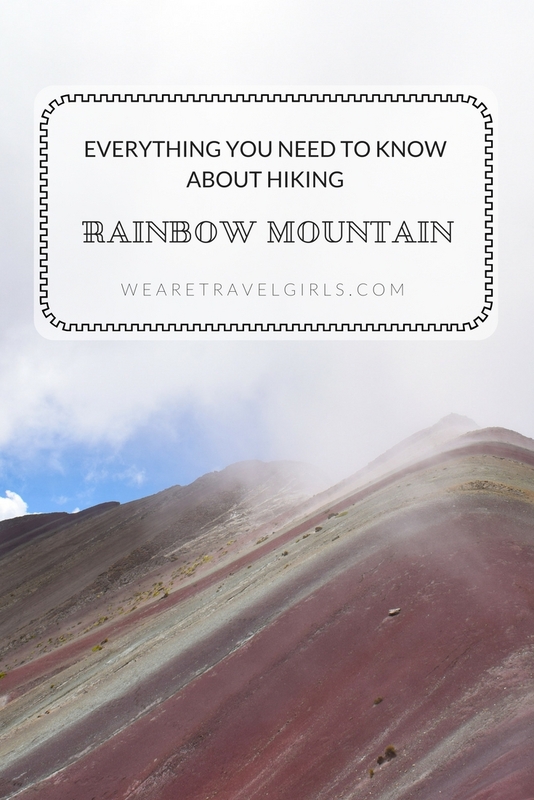 Have you ever heard of Rainbow Mountain? I definitely hadn’t until I was already travelling through Peru on a tight travel schedule. What was this enchanting place that my friend was telling me about? So off to Instagram I went and I was greeted with the most magical images of a place I would have only thought to exist in dreams. 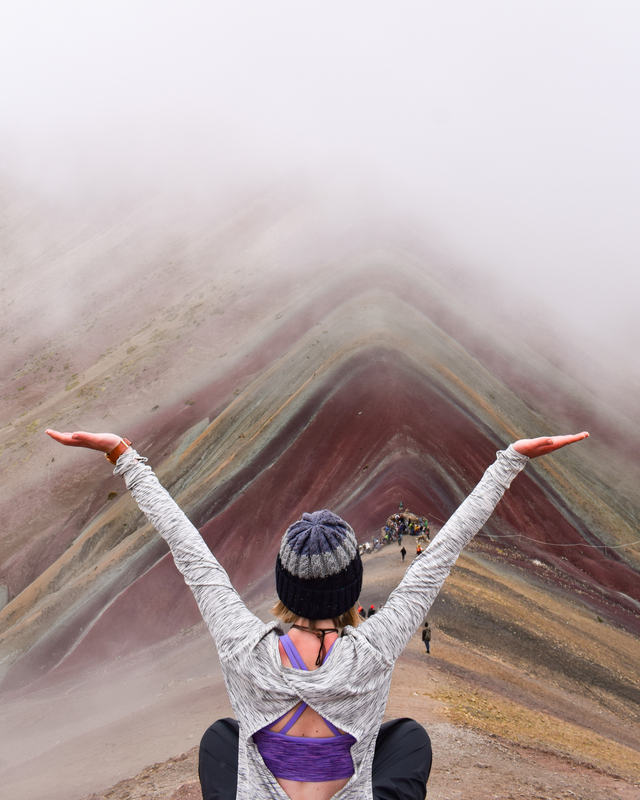 Rainbow Mountain, also known as Vinicunca, is a mountain located south east of Cusco, in the Peruvian Ausangate region. 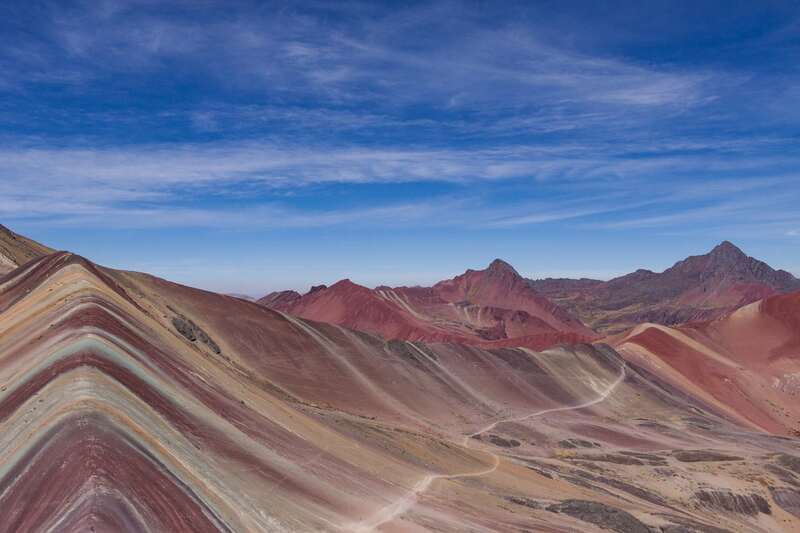 The aptly titled mountain is characterised by beautiful bands of colour due to its altitude, location and years of erosion exposing the sedimentary mineral layers. 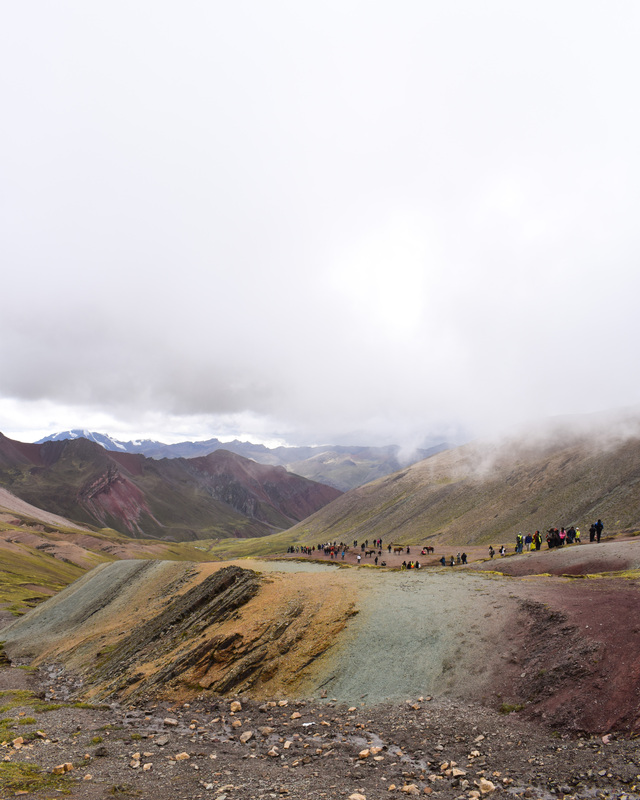 Rainbow Mountain sits at an altitude of 5200m above sea level, and is located deep within the surrounding mountain range. This natural phenomenon was previously quite unknown, having only been exposed to tourism in the past couple of years. 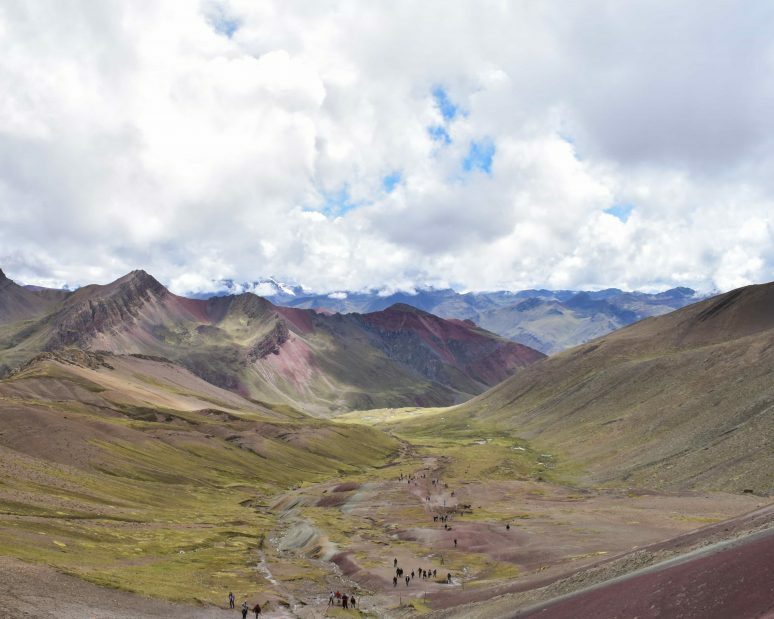 With less than one percent of the global population having adventured to Vinicunca, the area remains rather untouched. 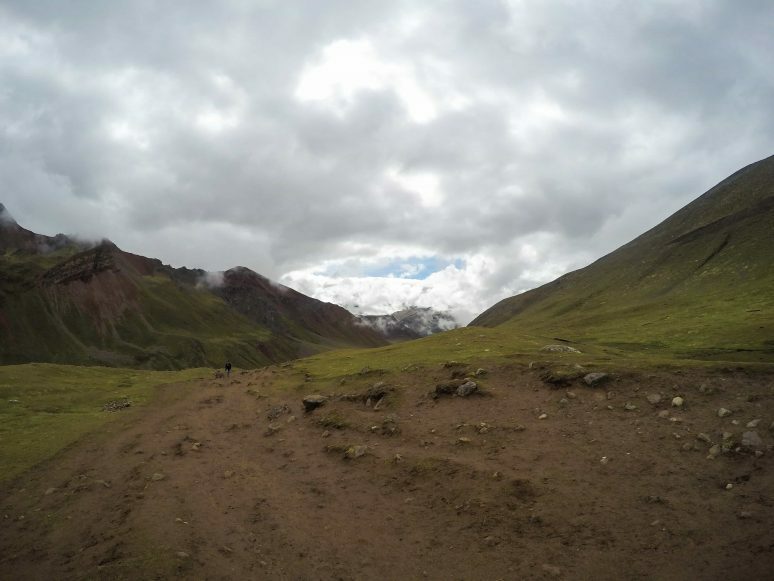 The trail to the peak is rather quiet in comparison to other treks in the country, like the famous Inca trail. 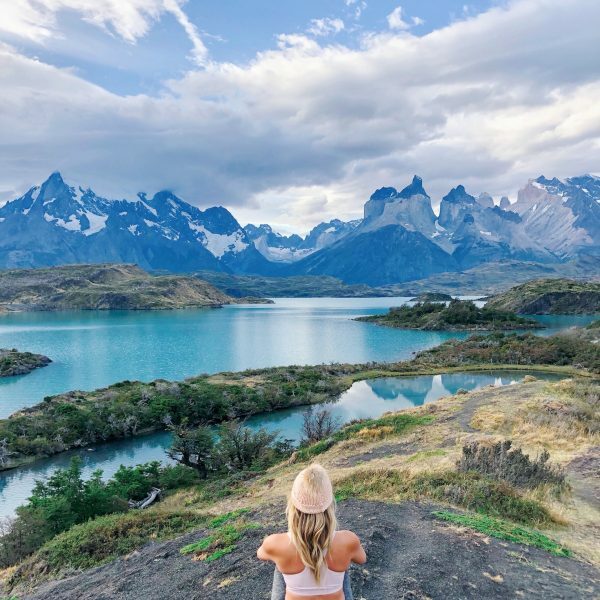 The trek to the candy-coloured mountain takes a total of six days following the Ausangate trail, however for those without so much time, it is still possible to visit as a day trip from the historic Incan capital, Cusco. 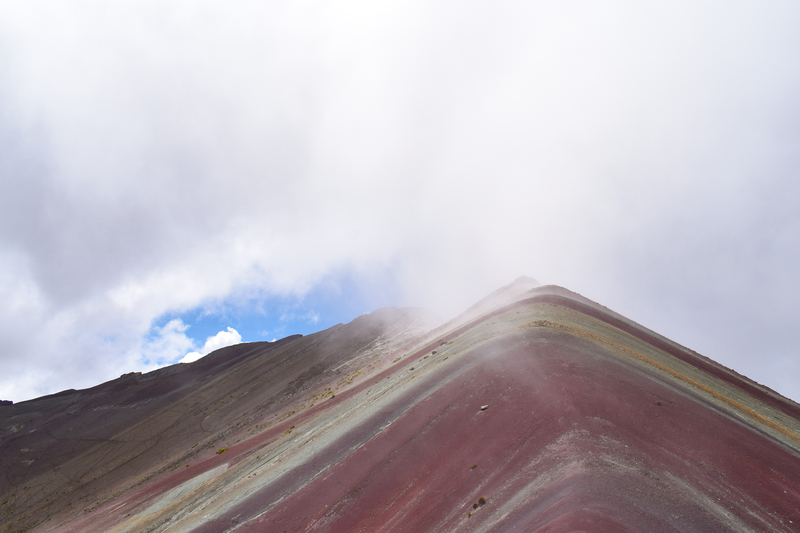 Rainbow Mountain is located a three hour drive south east of Cusco. Public transport to the trail head does not exist, so your only options are to book through a tour agency or drive yourself. Different companies offer different packages and obviously prices are reflective of that. If you are travelling from Cusco, you are spoilt for choice of companies. You can also book online, prior to travelling to Cusco, but you are likely to find that you will pay twice as much for the exact same tour. 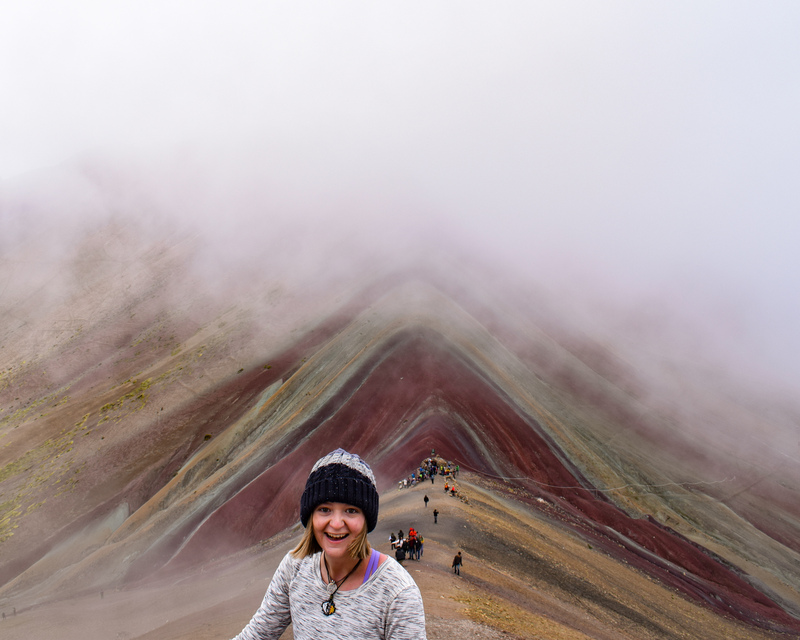 I was travelling through Peru with Contiki, and our tour manager was kind enough to refer us to a company that some of her past travellers had trekked Rainbow Mountain with. 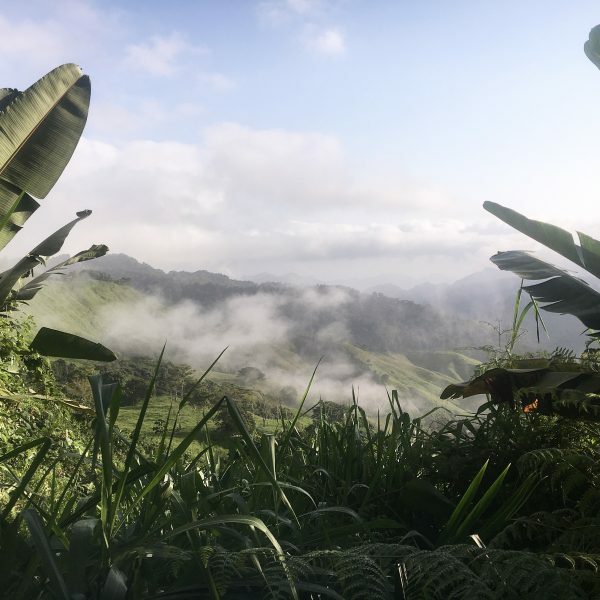 The pick up to get to Rainbow Mountain occurs between 2:30am and 3am and involves a three-hour drive across unsealed, rocky roads in mini vans, so don’t expect to get too much sleep on the drive. Tip: Although the early start might be a major deterrent to you and you may be able to find a tour departing at a more reasonable hour, it is better to depart early to get maximum visibility and better weather conditions at the summit. I visited in December, which is the low season but also the rainy season in the Peruvian highlands. 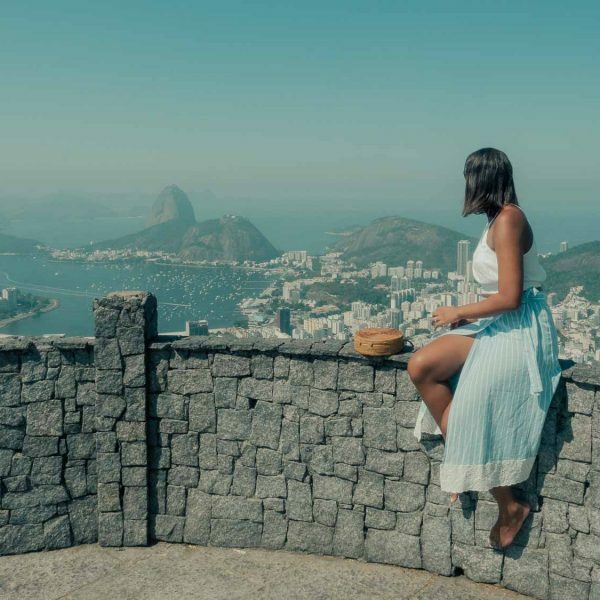 This is not recommended as the best time to visit the region, May-September is the best time to visit, as the weather is the driest and warmest during this time. 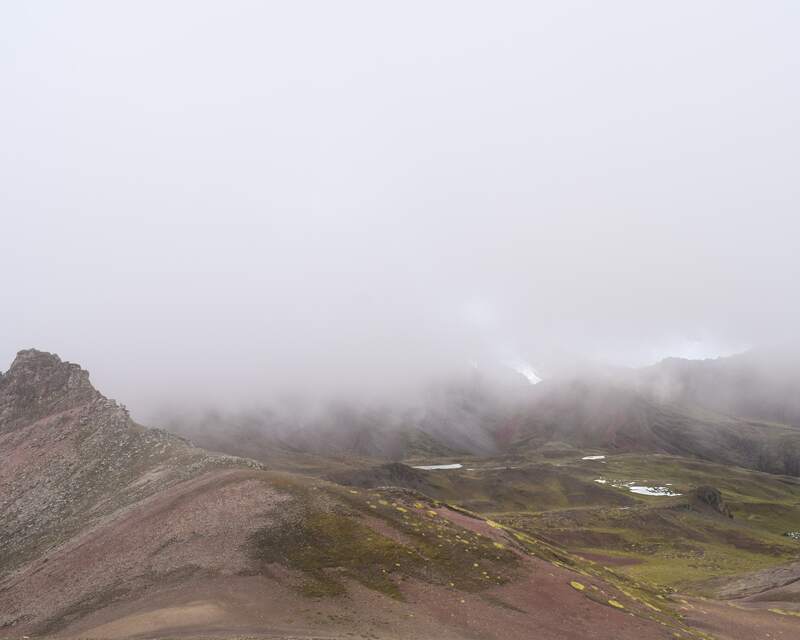 The weather can change very quickly at such a high altitude so prepare yourself for anything and everything. This trek is not for the faint hearted, (seriously!) It makes the Inca Trail, which we had completed just the day prior, look like a piece of cake! I’m only talking about the one-day trek, not even the six-day, full length Ausangate trail. 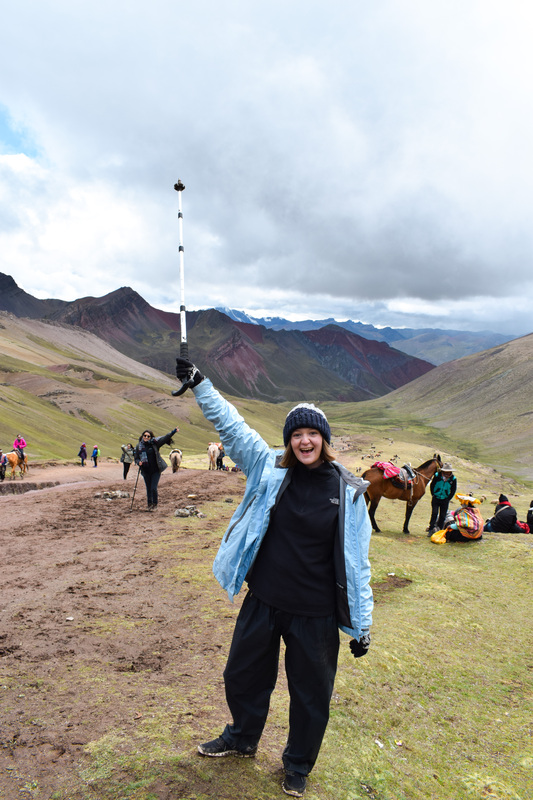 This doesn’t mean that Rainbow Mountain is not accessible to others, there is an option to hire a horse near the trail head and ride it to the base of the mountain, but you will still have to hike the final ascent. 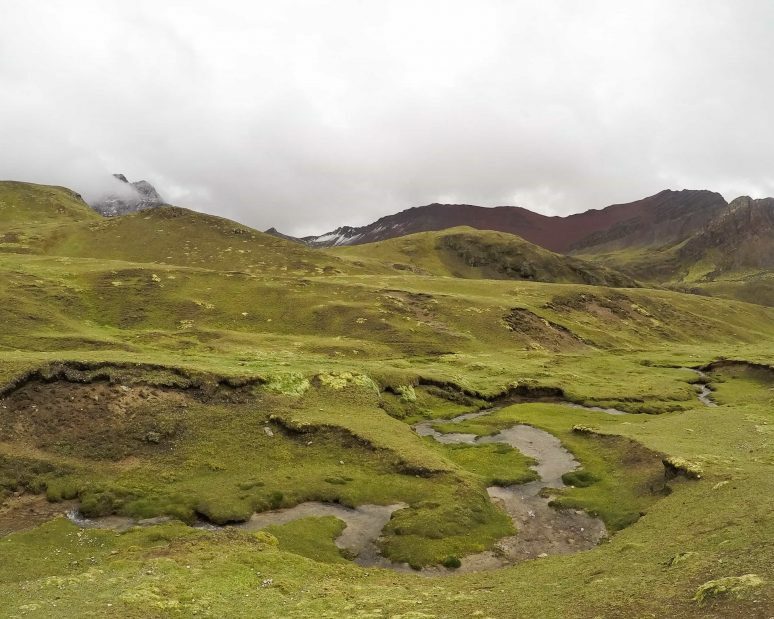 The length of the singular day trek is 16km return and although this seems rather short, due to the altitude of the hike, it will take longer and be more strenuous than you anticipate. To put things into perspective, the altitude of Rainbow Mountain is 5200m above sea level which is only 189m short of Everest Base Camp in Nepal. 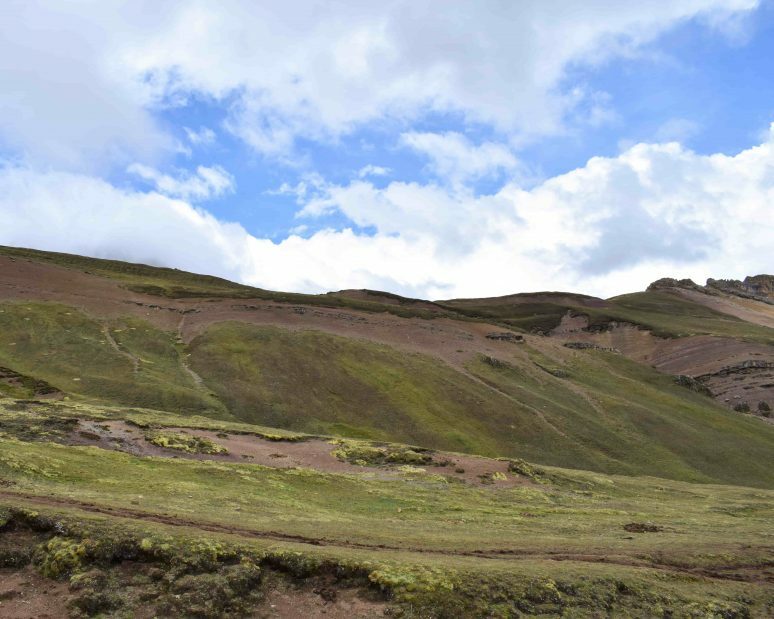 Altitude sickness can be felt from 2400m above sea level, so this is one factor that will seriously impact your hike. The air is thinner at higher altitudes, which can make breathing and walking significantly more difficult. For this reason, it is often recommended to have a few days in Cusco prior to your hike, to adjust to the altitude, as well as taking altitude tablets, to prevent altitude sickness. Consult your GP or seek advice from a travel doctor. While only having limited time in the area, my only option of visiting Rainbow Mountain was with a one-day trip. Six of us signed up for the expedition, knowing full well that it would be one of the most physically, emotionally and mentally draining experiences of our lives. 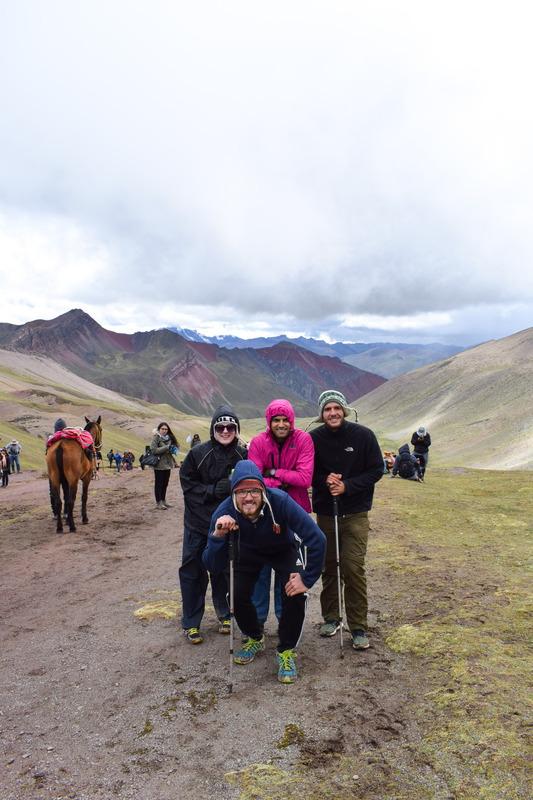 A few days prior, we had just completed the Inca Trail, reaching altitudes of 3000m above sea level, but this would turn out to be nothing compared to the 5200m peak we were heading for. Our trip kicked off at an extremely early hour with a 2:30am pick up time. Half asleep but rearing to go we jumped into the van with our guide and started our three-hour drive to the trail head. The bumpy, unsealed roads prevented us from catching anymore shut eye, but before we knew it we had arrived at the start of our trek. Our guide led us to a large tent where a cooked breakfast of scrambled eggs, bacon and toast awaited us. Warming up with coffee, tea and coca tea (the local brew to prevent altitude sickness) we questioned whether the bacon was actually bacon, but ate it nonetheless, fuelling our bodies for the challenge ahead. The trail head sat at a starting altitude of 4200m, which was already quite an increase from Cusco, and we could already feel the difficulties associated with being at such an elevation. All six of us were of quite good fitness levels, but the altitude made us feel as though we were all ridiculously unfit. Following our guide, we hiked the initial section of the trail before reaching a horse station. Here we were given the option to ride a horse along the train rather than hike. 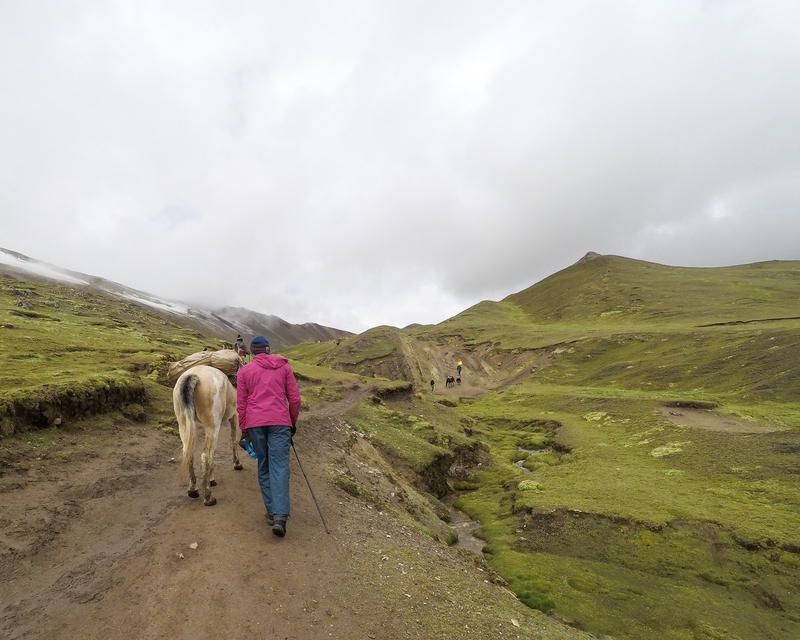 Collectively, we hired a horse to carry our bags along the trail, and also a second, to use as an emergency horse, if one party member needed to rest for a portion of the trek. The hike itself was rather flat and well-marked, but the elevation made the trek significantly challenging. We trekked through the valley which itself presented us with varying scenery of vivid colours and snow-capped mountains. 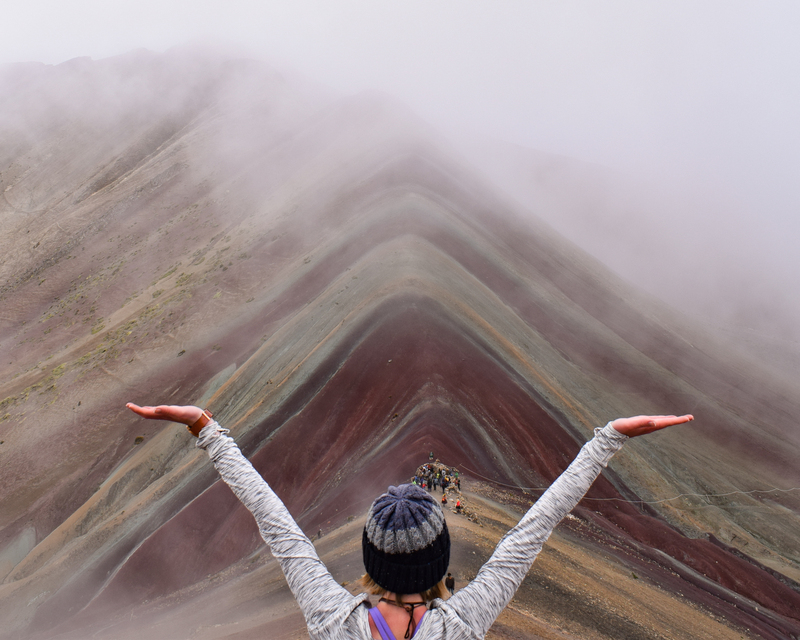 With moments of motivation deteriorating, once I caught sight of the mysterious Rainbow Mountain, the adrenaline kicked back in and made it much easier to keep going and reach the summit. Our visit to the region fell in the middle of the rainy season which made condition rather unideal. 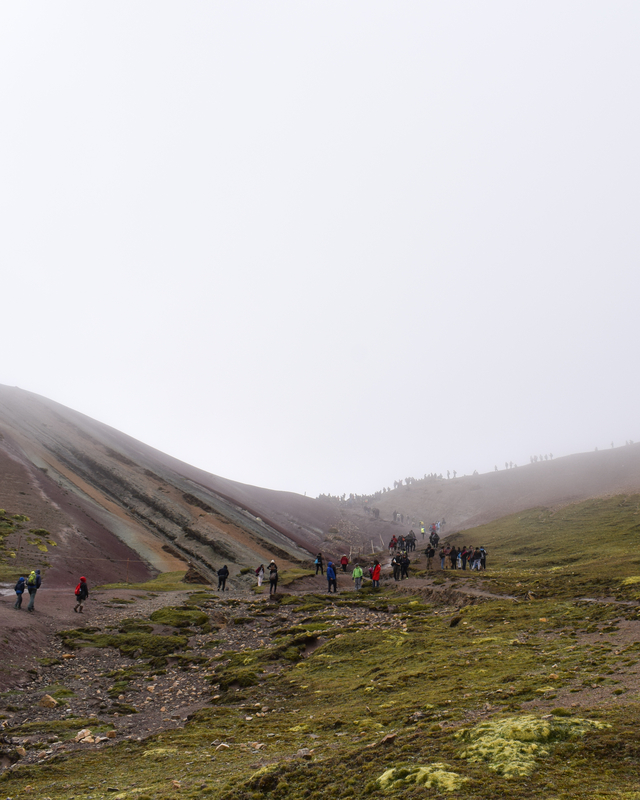 We had low hanging clouds which obstructed the panoramic view of the surrounding mountain range, but we could still admire the beauty of Vinicunca. Our guide, self-titled, the Champion Guide, appropriately celebrated our achievement by blasting Queen’s ‘We Are The Champions’. The weather started to turn for the worst, so after having short of an hour by the peak, we started our descent back into the valley. The return journey seemed to take a lot longer and it certainly did not help that we got caught in a thunder and hail storm. The trail became extremely slippery and I am guilty of stacking it multiple times. Wearing all of our layers; fleece jumpers, rain jackets, gloves, beanies and ponchos, we successfully returned to base camp where we warmed up with some lunch before commencing our three-hour drive back to Cusco. Although the return trek was not in ideal conditions, making it less enjoyable, the experience itself and the challenges that we overcame to conquer Rainbow Mountain, far outweighed this and made this hike one of the best things I have ever done in my lifetime. It remains one of the most difficult things I have ever attempted and accomplished and I can only hope that one day I will get the chance to return and revisit this wonder of the world. which company did u booked for your hike? We were on a Contiki tour so our trip leader coordinated with a tour company for us. Unfortunately I’m not sure what the company’s name was. Unfortunately, we didn’t book it, rather our Contiki tour manager co-ordinated with a tour company for us. But there are plenty of companies offering the tour in Cusco.